Single unit of our 100mg Hazelnut & Sea Salt CBD chocolate bar. Large – 1.7oz. Indulge in this handcrafted, artisanal Roasted Oregon Hazelnut & Alder Smoked Sea Salt CBD Dark Chocolate Bar. 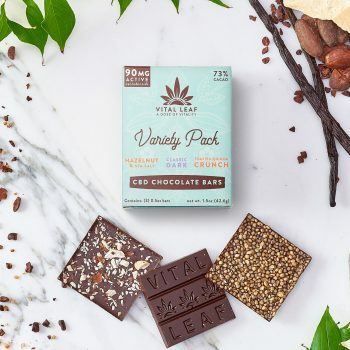 An ode to our home state of Oregon, this hearty bar is a sweet, smoky, & salty hazelnutty treat made with 73% Cacao, infused with phytocannabinoid-rich full-spectrum hemp extract, and sweetened with organic coconut sugar. It’s an incredibly tasty & guilt-free way to indulge in your daily dose of vitality! 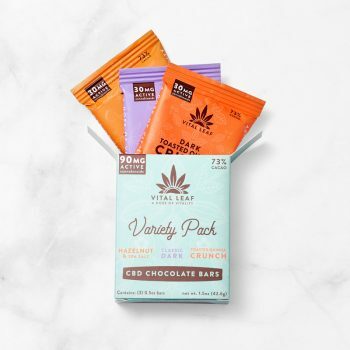 Ingredients: Organic fair-trade cacao paste, organic fair-trade cacao butter, organic coconut sugar, organic Oregon-grown lightly roasted hazelnuts (tree-nut), phytocannabinoid-rich full-spectrum hemp extract, alder-smoked sea salt.